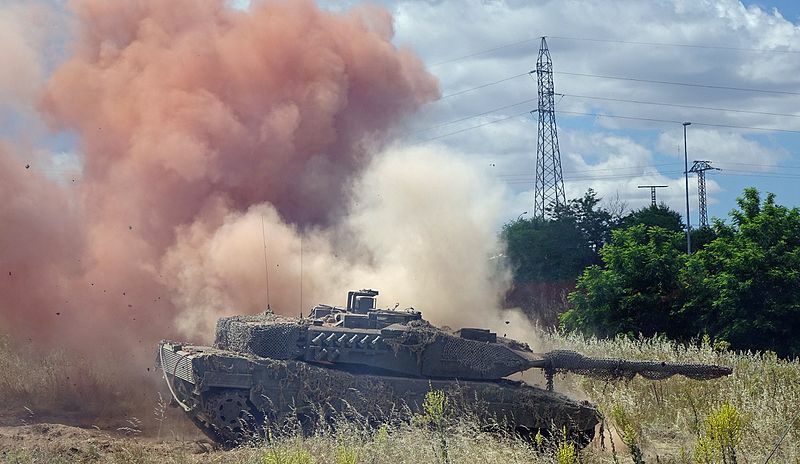 Installing reprogramming systems for the ballistic calculators on Leopard 2A6’s is SDLE’s latest deal with Spain’s defense ministry after a prior agreement worth a million Euros to provide spare wheels for the army’s tanks and IFVs. SDLE believes its services are essential for Spain’s role in NATO missions such as the “Enhanced Forward Presence” battle group deployed to protect Latvia from external threats. Spain’s contribution to the battle group involves 300 troops deploying six Leopardo 2E’s, 14 Pizarro IFVs, 12 APCs, engineering vehicles, plus a UAV and an anti-tank section. SDLE specializes in the maintenance and repairs for NATO armored vehicles and is now the primary supplier of wheels used on the Leopard 2A6, Leopard 2A4, and the Pizarro IFV. The company is now gearing up for its appearance at the Egypt Defence Expo (EDEX) in Cairo this December. Leopard 2’s have remained scarce in other regions where armored warfare is prevalent. In the Middle East, for example, only Qatar can boast of its army having Leopard 2A7 tanks although these haven’t seen any combat yet. This distinction belongs to Turkey, whose army has sent its Leopard 2A4’s and US-made M60A3’s into Syria. An unexpected market for upgraded Leopard 2’s is Southeast Asia, where the island nation of Singapore and regional power Indonesia have both acquired their own fleets of Leopards. In Singapore, however, its army’s 94 Leopard 2SG enjoy a unique armor kit meant to further protect the tank’s hull and turret in urban warfare. Indonesia’s hundred odd Leopard 2’s, on the other hand, were purchased from surplus stocks of the Dutch military. Although further exports of German or European Leopard 2’s are possible, these are drawn from a dwindling supply of mothballed tanks.